Waterfall Info: From the top, this is the first of five significant waterfalls along the section of Tallulah River between Tallulah Falls Lake and Lake Tugalo (aka the Tallulah Gorge). 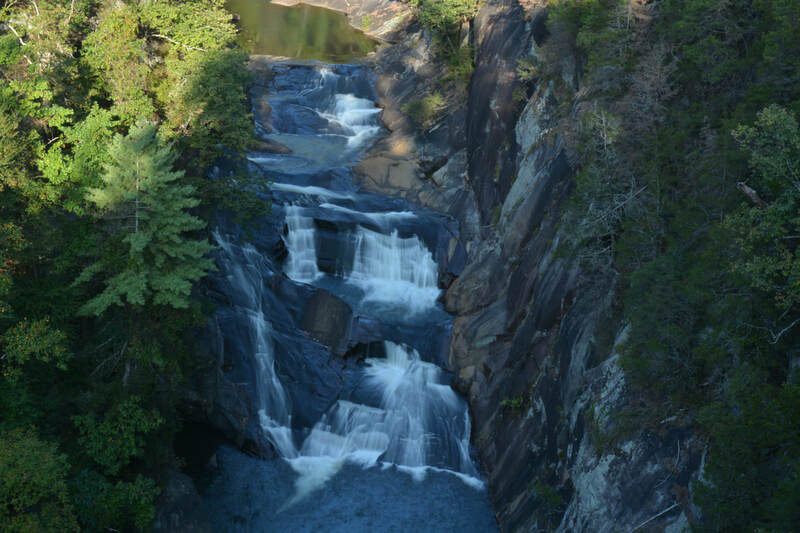 Access Info: Overlooks 2 and 3 along the North Rim Trail in Tallulah Gorge provide the only views of this waterfall. Access to the base is prohibited.